Image Caption: Former South Korean President Kim Dae Jung, elected in 1997, pursued an open-ended “Sunshine Policy” with North Korea in hopes of bettering relations between the two countries. The state’s role in defining the Republic of Korea’s (ROK) relationship with its northern counterpart, the Democratic People’s Republic of Korea (DPRK), has been tantamount to its push for ethnonationalism and stability in the nascent state. South Korea’s varying policies towards North Korea during the Cold War, the 1990s, and beyond, have been reflected in its understanding of its northern counterpart. These shifts show that perceptions of the DPRK’s citizens’ Koreanness from enemy, to a people to be pitied, to a partner in the eyes of the state has altered in accordance to the needs of the government. This paper will explore these changes and what they mean for the transience of Koreanness as an unfixed property used throughout the statebuiliding of modern Korean history. The South Korean concept of North Koreans is relatively new. Up until the mid-20th century Koreans were not defined by which side of the DMZ (Demilitarized Zone) they came from. Arbitrarily created by the United States at the end of World War II in 1945 and reinforced after the Korean War (1950-1953), the DMZ provided a new angle in defining Koreanness. As talks between North and South Korea continue, so do discussions on the possibility of there not being “Koreans” insomuch as “North Koreans” and “South Koreans,” is compelling as it indicates the shifts in the ROK’s views over time and how society has reflected it in everyday language. Tracking these changes from a policy perspective provides a deeper understanding of the malleability of Koreanness as seen through changing rhetoric around the inclusivity of North Koreans into South Korean society. Concepts like reunification, democratization, and anti-communism are common themes that emerge in discussions about attitudes towards North Korea and the regime’s people. These eras of varying relations can be roughly estimated by the time periods below. This era encompasses the final century and a half of a unified Korean peninsula that in which many hold common narratives of oppressive colonization, pride in great dynastic histories, and roots of economic differences between the North and South began. Under the Chosun dynasty (1392-1897), the Korean peninsula experienced one of its longest and most stable reigning dynasties. The Chosun court employed the practice of “marginal adjustment,” coping with struggles as they arose rather than attempting to create lasting change. This practice is notable as it displays increasing differentiation between Northern and Southern provinces at the time. Different peasant revolts and needs between North and South during this era meant that marginal adjustment also varied. This “as-needed” attitude lent to the uneven care and administration to both sides and thus creation of partitions. Intentional political discrimination of the Northern areas by the Chosun court left the North with a lack of equal administrative support. This lack of support, compounded with the North’s harsh climate, led to further differentiation in living conditions. Peasant revolts such as the Hong Gyeong Nae Rebellion of 1812 occurred in opposition to this inequality. Under colonial rule and the Japanese conquest of Manchuria, this differentiation only continued. The North saw increasing amounts of industrialization and subsequent urbanization, unlike the Southern modernization experience. While both sides suffered greatly under Japanese colonial rule, the Southern area witnessed far more confrontations with the military. Heavy censorship and military rule in the capital area of Seoul and the confiscation of fertile lands under the 1910 Land Reforms both contributed to this “dark period.” The concentration of factories in the North and the South’s unstable capital region undermined the South’s ability to industrialize later on. Japan’s retreat from the peninsula and the subsequent Korean War (1950-1953) further divided the communist North and democratic South. The Cold War’s proxy wars between the Soviet Union and the United States through geopolitical battles resulted in the creation of two Koreas at the end of the Korean War. The continuation of Cold War tensions continued even after the war itself ended. Syngman Rhee’s utilization of the National Security Law established in 1948 continued the Cold War tensions. With its establishment happening in the name of anti-communism to protect the new state from the influences of the North, the First Republic censored its population to maintain control on the shaky grounds of the state’s heavy reliance on American aid. Criticism for this dependence on a foreign power while the North remained stalwart in its self-support meant that the nascent South Korean state had to take measures to remind the people of the “democracy” that had to be the South’s status quo. Amid this first nationwide policy actively condemning communist activity came the Jeju Rebellion of 1948-49. Some saw the North Koreans’’ communist system as the solution to their worries of being subjected to the rule of a foreign power once again, especially as the United States had placed a policy of “due course” on the ROK. This policy meant that America had special administrative direction in the new state until “due course,” meaning until America saw the ROK as fit to self-govern.. This exhibits that even though the state’s official attitude and policy towards North Korea was antagonistic, the dissatisfaction of the South Korean citizens bred an attraction for some aspects of North Korea due to its superior economic standing. The need to stamp out North Korean/communist sympathy only continued through the Rhee administration and was reinforced through mandatory military conscription. A tactic that reinforced the perennial fear of Northern invasion, mandatory enlistment created an atmosphere of fear and instability regarding the South’s violence-prone counterpart. The implementation of mandatory enlistment in the Military Service Law in 1949 (which was actually implemented in 1957 but was delayed by the Korean War) represents a clear extension of the Rhee government’s anti-North Korean rhetoric. Little changed when Park Chung-hee took over after his military coup in 1961. His Third Republic swiftly established the KCIA (Korean Central Intelligence Agency), a security apparatus meant to monitor communist activity. Although the state’s militarism in this period led to a heavily patrolled population, the economy boomed under Park Chung-hee’s economic plans and South Korea surpassed the North in terms of GDP. While citizens faced innumerable human and workers’ rights atrocities to build the nation’s economy, events like the attack of the USS Pueblo and the assassination attempt against Park, both in 1968, allowed Park to further abuse the National Security Law for his administrative needs. Moreover, Park Chung-hee harnessed anti-communist rhetoric to industrialize and modernize the Republic of Korea by building the Gyeongbu Highway in the 1960s. His slogan, “Let’s construct as we fight” epitomized how the state viewed infrastructure building as a link to the “struggle against North Korean communists of the nation.” Park presented conflicts like the USS Pueblo as a sign that the North was ever nervous of the South’s growing might. In this same speech, Park iterates how “our people should be the people who construct as we fight…to fight against communist…to promote construction on the other.” Park set an ethno-nationalist paradigm by labeling South Koreans as “our people” and glorifying how their construction of the highway not only betters the South but also creates a connection to the North. These declarations further promote the Otherization of the North while simultaneously enforcing the line of anti-communism. Chun Doo Hwan’s takeover of the Fourth Republic and anti-communist rhetoric after Park Chung-hee’s assassination and establishment of the Fifth Republic in 1981 created newfound suspicion with North Korea. The threat of the DPRK continued to loom in the 1980s with Chun Doo Hwan’s own attempted assassination in 1983 in Burma and the North Korean terrorist attacks on Gimpo Airport and Korean Air Flight 858 in the 1980s. This era not only showed a continuation of anti-communism but also an outline of a comprehensive proposal for reunification, “the most complete program so far submitted by South Korea” as reported the New York Times on March 3, 1982. This break with Cold War tradition may have been to consolidate Chun Doo Hwan’s rule as he consolidated his power after the military coup. While the North responded negatively to the proposal of reunification, the offer remained open and further proposals were put forth, moves that kept the South Korean populace hopeful. The reunification proposal differed from Chun’s predecessors since they had been adamant in their staunch in anti-communism. Chun’s advisor at the time, Lee Bum Suk, was born in Pyongyang. By taking a North Korean-born advisor, Chun displayed remarkable openness in allowing North Korean-born experts to climb his administration’s ranks. His openness was further supported by his willingness to conduct conversations with the North. As the economy surged ahead, Chun placed less emphasis on the “threat from the North” due to his view that a “perceived threat” was bad for business and decided to focus more heavily on unification talks. With the perceived threat from the North minimized, the state furthered its economic plans. Interestingly enough, with Chun’s move towards increased dialogue with North Korea, the perceptions of North Koreans as unsympathetic, killers, and “terrible” people made new strides to see the North Koreans as compatriots rather than competitors as the tides shifted to South Korea having “won” and hosting the 1988 Seoul Olympics to show its advances in modernization. 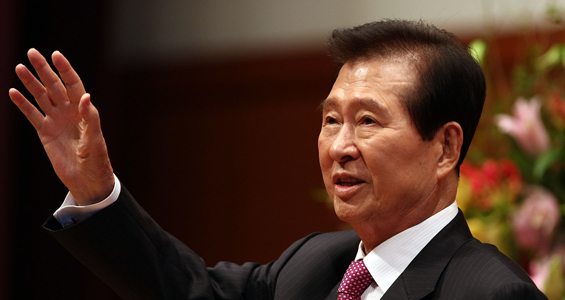 Gestures of goodwill continued under Roh Tae-Woo during the Sixth Republic, founded in 1988. Roh employed nordpolitik to bring the Republic of Korea closer to post-Socialist countries as the Cold War ended and relations with the People’s Republic of China were normalized in 1992. The policy of nordpolitik, an emblematic policy of the Roh administration, was modeled after the Ostpolitik of West-East German relations in order to slowly build relations with Pyongyang with North Korea’s traditional allies. The opening of ties with the Soviet bloc and other Pyongyang allies benefitted business as South Korea increased its economic presence on the international stage. This creation of new partnerships also reflected the overall South Korean government push towards establishing ties ultimately with North Korea, who was pushed towards South Korea’s government’s overall outlook to shift towards establishing ties with North Korea who was increasing pressures to restructure economic policy and was losing international assistance. Roh followed his predecessor Chun in giving a second version of the Korean National Community Unification Formula in 1989. He proposed, amongst other items, a Council of Ministers that would operate through committees on humanitarian affairs, political affairs and diplomacy, economic affairs, military affairs, and social and cultural affairs to build a national unified culture. His Formula also included a Council of Representatives to draft a unified Constitution and advise the Council of Representatives. Both councils would consist of members from both the DPRK and ROK. His policy focused on a gradual unification. Gradual integration was necessary to maintain South Korean prosperity while incorporating new members to its society. In this policy the North became a partner, not a competitor nor threat to South Korean economic success. His administration’s work towards the Basic Agreement of 1991 established the North’s recognition of South Korea as a state which stimulated economic and cultural exchanges. Kim Young Sam continued this dialogue and exchange when his administration recognized the North’s need for support after the conditions of the Great Famine were made known. Food aid was sent in the tons under his administration. However, faltering of the Basic Agreement as the North struggled under the Great Famine and the death of Supreme Leader Kim Il Sung led to some tensions in South Korea. Kim Young Sam’s administration was criticized for its mismanagement of connections with the North as it continued to fail to meet its side of the Basic Agreement. Nevertheless, by the time Kim Dae Jung was elected in 1997, there had been significant institutional progress in viewing North Korea as a partner or at least someone to partake in dialogue with. Jung’s open-ended policy led to an increase in tourism in the Kumgang Mountains in the North, with Hyundai’s help facilitating the tourism for citizens on both sides of the DMZ. State-to-state talks also both occurred in 1998. Kim Dae Jung’s visit to Pyongyang in 2000 helped place into the imagination of the South the ability to overcome decades of aggression. Kim Jong Il’s remarkable displays of hospitality directly opposed decades of thought in the South of him and North Koreans as hostile. The follow up to this was a Joint Declaration the same year putting economic ties and the reunification of families as part of the agreement towards making a reunification facilitated by both sides . Kim Dae Jung’s Sunshine Policy painted the state’s turn of the century with the hope that unification could be possible. With South Korea now firmly recognized as part of the First World with its entrance into the OECD in 1996 and its rapid recovery from the 1997 economic crisis, the state could turn its focus to practicing a new national security paradigm. Specifically, one in which entertaining conversation with the North would not be viewed as a radical, communist-sympathizing thought. Kim Dae-jung’s capitalization on this allowed for the South Korean government’s creation of the Ministry of Unification to begin taking count of North Korean defectors to the South. The Ministry reported an increase from 947 defectors in 1998 to about 31,531 defectors in the South today. The Ministry of Unification also reports the highest number of communications between the two states has concerned politics and the economy since 1971. The softening attitude towards North Koreans is 34 exemplified by the South Korean government’s efforts to establish hanawons, a kind of educational resettlement facility for newly received North Korean refugees to learn the basics of South Korean society. The Ministry of Unification has created a manual for North Korean refugee resettlement under the establishment of resettlement centers, known as hanawons, in 1999. The hanawons’ program objectives are listed to be: “regaining emotional stability, overcoming cultural differences, and finding motivation to become socially and economically independent.” These objectives illustrate the South Korean government’s efforts to integrate and accept North Korean refugees into society. This policy shift moves beyond dialogue to active reception and welcoming of North Koreans, revealing how South Korea— from Kim Dae Jung-to-present— has moved towards having governmental apparatuses to support North Korean refugees rather than cast them out as an Other. Remarkably, this positive adaptation in policy for North Koreans comes hand in hand with the South Korean government’s agenda to upgrade how it presents itself to the world. Steady recovery from the 1997 financial crisis and sustained growth in democratization under the Sixth Republic, combined with the soft power emanating from the Hallyu Wave and its “Miracle on the Han,” the Republic of Korea’s government is faced with maintaining its image to the global community. With denuclearization on the peninsula an ever-present agenda item, the shift in tactics by the South Korean government allowed them to present their diplomatic efforts to garner favor from the post-Socialist international community . Sympathetic media, like the film Steel Rain (2017) and drama Doctor Stranger (2014), are ways in which the government humanized North Korean defectors to continue support for reunification efforts. Changes in language concerning North Korea and its people have also occurred in state-approved textbooks over time as the attitudes and administrations softened their positions. In Figure 1 the terminology shifts around the North as the parlance moves from describing the North as “cold” and a “satellite of the USSR” to the DPRK as a “failure” with “chaos” and “collapse.” These changes reflects how the South Korean government began to loosen its anti-communist political ideology that contributed to fueling its “Otherization” of the North. This can also be seen in stories in South Korean textbooks that move from dehumanizing North Koreans in “I Hate Communists” to feeling sympathy to “save” the Other that is simultaneously “us”, a notably softer take. All of this furthers the state agenda to ensure peace on the peninsula and try to stop war from breaking out. From the beginning of food aid in the 1990s to the welcoming of North Korean refugees, the government agenda worked to preserve the South Korean. All of the previously discussed policies are not simply state insurance to ensure stability, but also a way for the state to define who fits into its constraints of being “Korean.” At each step, the state cast different lights and shadows on North Koreans, shifting their portrayal of them from Others, to compatriots, to that of the same blood. While this stabilized South Korea’s own nation-formation, it also simultaneously created the conditions for the contemporary discussion of North Koreans as not just Koreans and a people to be helped, but a political Other separate from ethnic ties they share with South Koreans. Events that have been present in the socio-historical imagination of the South Korean people are exclusive in their narratives and form a common bond for South Koreans, like the “Miracle on the Han,” as something uniquely theirs. The South Korean struggle to reach recognition internationally was peppered with “problems of illegitimacy, recurring political unrest…a series of corrupt and oppressive of regimes, and dependence upon foreign benefactors in politics and economics.” And yet they overcame this to create a robust and booming nation-state. Even though the two countries share common experiences, like the Korean War and the Kangbyon incident, they have been marked by their respective government’s positions on the other. The popular notions of Koreans as a strong and resilient people is left mainly to reference South Koreans from the perspective of the global community. The internationally recognized story of Koreans today is very much skewed toward the South Korean rendition. South Korea’s “win” as a top player on the world stage represented more than just a victory between the Koreas, but also added to the already present geopolitical tensions between the two . The North became the antithesis of everything the South came to represent. By shifting the administrative stance to one of helping the North Koreans through food aid and open dialogue in the 1980s and 1990s, rather than viewing them as a competitor, the South Korean government effectively made North Korea no longer an equal match to beat but another that did not support the South’s own story of success and resiliency of Koreans. Koreanness was not a fixed, qualitative asset that was inherent in the eyes of the South Korean government, it was a curated concept that had been crystallized through the post-World War II events in the Southern half of the peninsula. The nationwide censorship under Rhee Syngman through the military coup cycles that followed with anti-Communist rhetoric were all policies that not only made a point of attacking North Korea, but creating an insular group of South Korean citizens that increasingly became the antithesis of North Koreans. Drastic polarization between the two Koreas, from the last century of the Chosun dynasty to Korean War, also left its mark in this creation of an ethno nationalistic culture created and defined by South Korea. While post-World War II events fed into what it meant to be Korean in a South Korean context, pre-World War II circumstances of an industrial North and agricultural South with different qualities of life tied notions of Koreanness to class. The Neo-Confucian social hierarchy left many in the peasant class at odds with varying levels of peasanthood between industry and agriculture with some in a higher economic level vertically while still being horizontally categorized into the same class. Most industry was left in the North after the division, and these inklings of differences between North and South felt their varying ramifications when the North cut off power to the South after the end of the Korean War due to their industrial strength and when the North felt the brunt of the Great Famine in the 1990s when lacking the South’s agricultural forte. Yet, post-war events had been pre-supposed under Chosun and the Colonial Korean governments where the North and South were intentionally separated through the use of class. With this realization, the properties of Koreanness, from the First to the Sixth Republic, have long been fixed to suiting the overarching goals of the state. Both Chosun Korea and modern South Korea have used this in and out group Koreanness definition to maintain stability and security. The South Korean use of this malleability is nevertheless unique as it matched the needs of the state and was not just “marginally adjusted” to patch problems, but made to be the baseline justification for policy. For example, the use of the National Security Law as mentioned above shows how anti-communism and antagonism towards the North was warranted in the name of national growth. In other words, South Korea strategically employed policy to match an ethnonationalist story which guided the state from infancy to maturity during the post-World War II era. The transience of Koreanness is not as simple as a policy reform or a speech given, but it is undoubtedly given legitimacy and authority when backed by the state. Still, the effects of the era from 1945 to 1988 that emphasized North Koreans as blind followers of communism and the stories that came out of stunted North Koreans resulting from the Great Famine of the 1990s have left stereotypes of the typical “North Korean.” Society remembers, and while official stances may change, in practice North Koreans are still not viewed as equals. With current news of peace and a formal end to the Korean War, this may signal another need for the state to shape the identity of Koreanness to foster harmony with the possibility of an opening up of North Korea. However, the manner in which this will be framed is dependent on the state’s confidence that the state has reached maturity, security, and stability in itself and that recasting the national concept of Koreanness through policy will not shake this. A new era of Koreanness will face a hybridity of intermingling between South Korea’s own historical conceptions of its Koreanness but whatever North Koreans will bring to the table as their definition on what it means to be Korean. The current buzzword from the May 2018 Inter-Korean Summit, minjok, or ethnicity, is a shared value that the two Koreas may want to focus on, but with such different ideas of Koreanness the crafting 44 of what a united Korea would look like will need to be agreed upon for both Koreas’ narratives and needs. Victoria Isabel Quintanilla is currently a rising junior at Yale University majoring in History with a concentration in East Asia. She is most interested in researching ethnic identities in East Asia. Her current research is centered around the history of the “Other” in South Korea. Victoria is currently on a year-long fellowship in Seoul to further her language studies under the Richard U. Light Fellowship. Alain Delissen. “The End of Romanticism? Teaching the ‘Other’ Korea in the Sunshine Era.” In, Gelezeau, Valerie, Koen De Ceuster and Alain Delissen, eds., De-Bordering Korea: Tangible and Intangible Legacies of the Sunshine Policy. New York: Routledge, 2013. 189-205. James B. Palais. “Stability in Yi Dynasty Korea: Equilibrium Systems and Marginal Adjustment,” Occasional Papers on Korea 3 (1975): 1-18. Kyung Moon Hwang. “From the Dirt to Heaven: Northern Koreans in the Chosŏn and Early Modern Eras.” Harvard Journal of Asiatic Studies 62, no. 1 (2002): 135-78. doi:10.2307/4126586. “Manifesto for the Hong Kyŏngnae Rebellion.” In, Sources of Korean Tradition, 171-173, 177-180. Yunshik Chang. “Colonization as Planned Changed: The Korean Case.” Modern Asian Studies 5, no. 2 (1971): 161–86. Myung-Hee Cho. 1927. The Farmers. Translated by Peter Lee. Seoul: LTI Korea, 2013. https://issuu.com/ltilibrary/docs/the_farmers. Chae-Hong Lim, “The National Security Law and Anticommunist Ideology in Korean Society,” Korea Journal 46, no. 3 (2006): 80–102. John Merrill. “The Cheju-do Rebellion.” Journal of Korean Studies 2 (1980):139-197. Seungsook Moon. Militarized Modernity and Gendered Citizenship in South Korea. Durham: Duke University Press, 2005. 44-67. Hagen Koo. “From Farm to Factory: Proletarianization in Korea.” American Sociological Review 55, no. 5 (1990): 669-681. Chihyung Jeon. “A Road to Modernization and Unification: The Construction of the Gyeongbu Highway in South Korea.” Technology and Culture 51, no. 1 (2010): 55-79. Michael Edson Robinson. Korea’s twentieth-century odyssey. University of Hawaii Press, 2007, 179. Jong-Yun Bae. “South Korean strategic thinking toward North Korea: The evolution of the engagement policy and its impact upon US-ROK relations.” Asian Survey 50, no. 2 (2010): 335-355. Yong-Chool Ha and Wang Hwi Lee, “The Politics of Economic Reform in South Korea: Crony Capitalism after Ten Years,” Asian Survey 47, no. 6 (2007): 894-914. “Ministry of Unification: Policy on North Korean Defectors.” Unikorea. http://www.unikorea.go.kr/eng_unikorea/relations/statistics/defectors/. Alain Delissen. “The End of Romanticism? Teaching the ‘Other’ Korea in the Sunshine Era.” In, Gelezeau, Valerie, Koen De Ceuster and Alain Delissen, eds., De-Bordering Korea: Tangible and Intangible Legacies of the Sunshine Policy. New York: Routledge, 2013. 199. Soo-Jung Lee, “The Korean War and the Politics of Memory: The Kangbyŏn Incident.” Korean Social Sciences Review 3, no. 2 (2013): 101-127. Michael Edson Robinson. Korea’s twentieth-century odyssey. University of Hawaii Press, 2007, 120. Megha Rajagopalan. “Meet The Livestreaming Star From North Korea Who’s Out To Break Your Stereotypes.” BuzzFeed. May 02, 2018. https://www.buzzfeed.com/meghara/north-korea-defector-live-streamer?utm_term=.vfQEE66YMp#.blkqq 66oR8. Ha-young Choi. “‘Homogeneous Korea’ May Seem Nationalistic.” The Korea Times. May 03, 2018. https://www.koreatimes.co.kr/www/nation/2018/05/731_248371.html.